The Museo Archeologico Nazionale in Venice is an archaeological museum, located on St Mark’s Square, which holds a notable collection of antiquities, particularly Greek and Roman sculptures, dating from the 9th century BC to 5th century AD. The museum is housed on the first floor of the Procuratie Nuove palace, built in the early 17th century after a design by Vincenzo Scamozzi, bordering Piazza San Marco to the south. 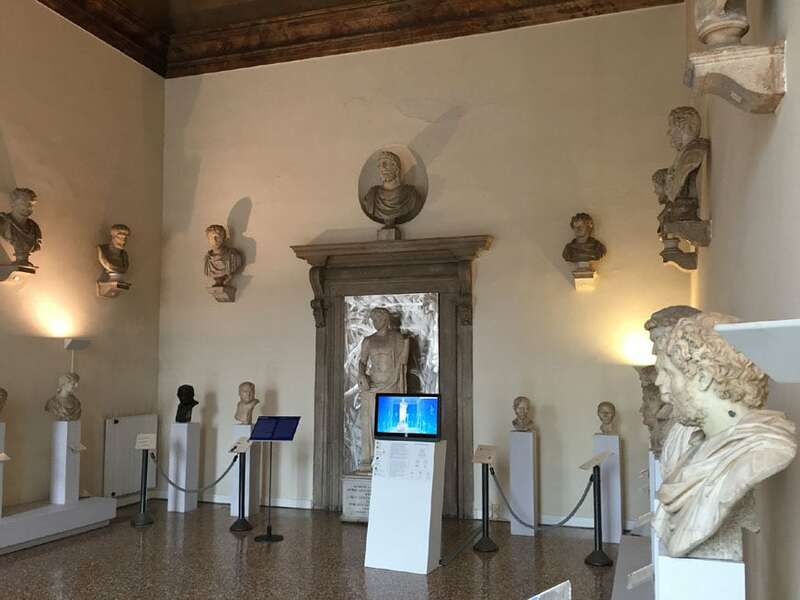 The museum’s origins date back to 1596, when the Republic of Venice opened a gallery dedicated to classical sculpture – known as Statuario Pubblico (Public Exhibition of Sculptures) and primarily based on donations by Italian cardinal and art collector Domenico Grimani and by his nephew Giovanni Grimani, patriarch of Aquileia – which is widely considered as one of the world’s earliest archaeological museums. Though a bit outdated in its design, the permanent exhibition of the Venice Archaeological Museum presents artifacts of excellent artistic merit and historical importance. 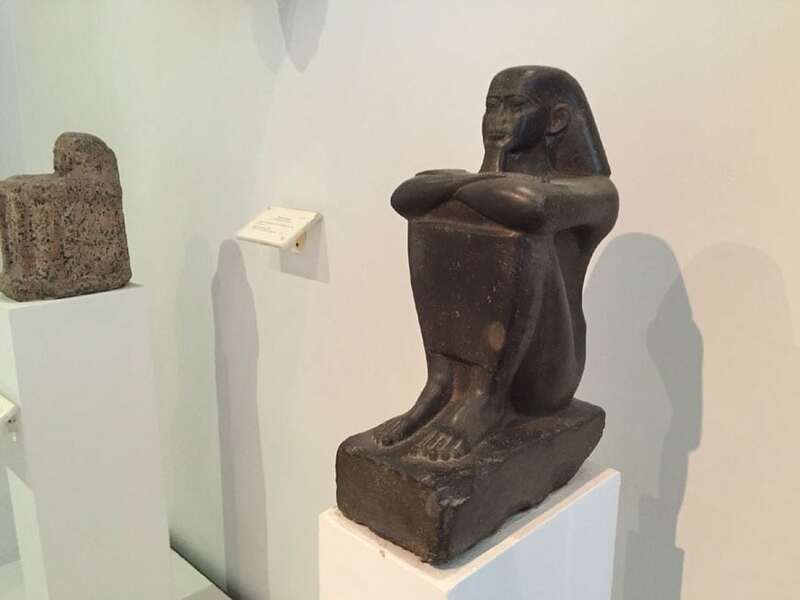 The exhibition, which encompasses 20 rooms, features statues, busts, friezes, sarcophagi, vases, jewels, cameos, and coins found in archaeological excavations in the Mediterranean area, in north Africa, and in the Near and Middle East. 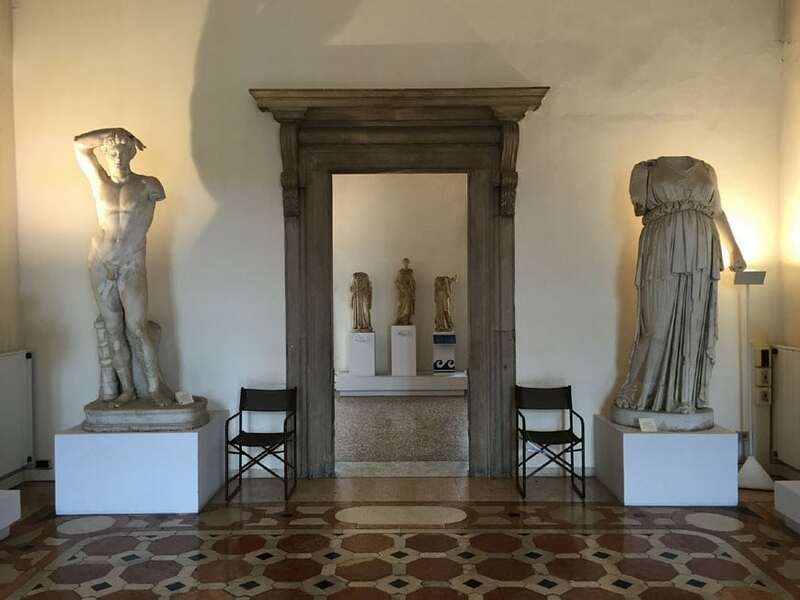 One of the distinctive points of the museum’s collection is the presence of original Classical Greek sculptures, while many similar museums in Italy predominantly feature Roman and Hellenistic copies instead. 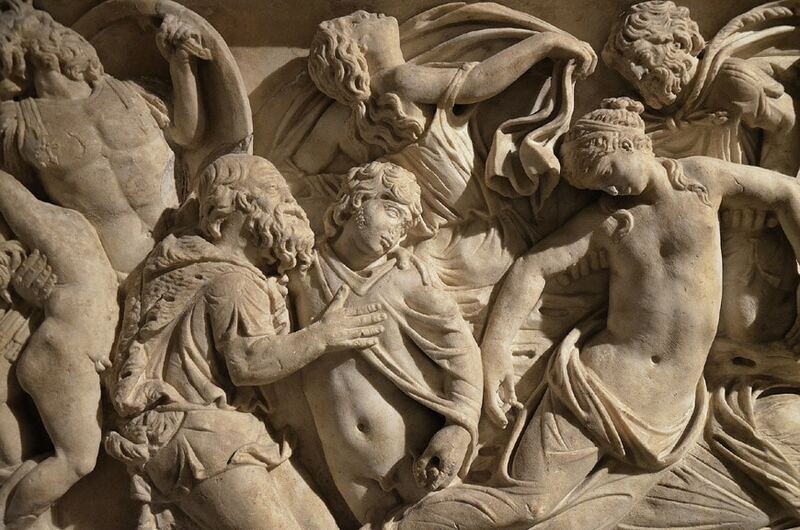 Notable Classical pieces on view include a group of peplophoros statues of Greek goddesses (V-IV century BC), and two statues of Demeter (early IV century BC) by the school of Cephisodotus the Elder. The collection also comprises Babylonese, Egyptian, Mycenaean, Etruscan, Hellenistic, and Roman artifacts. 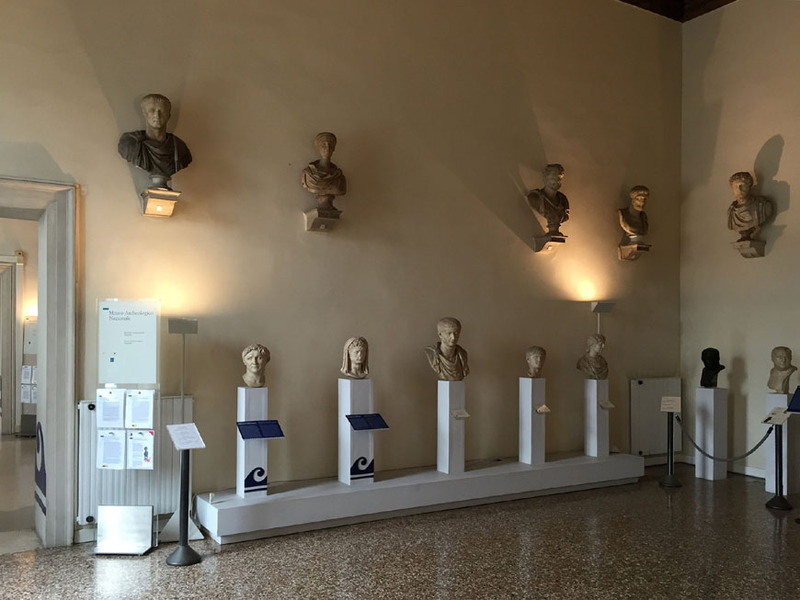 The Venice Archaeological Museum also accommodates temporary exhibitions and special events. 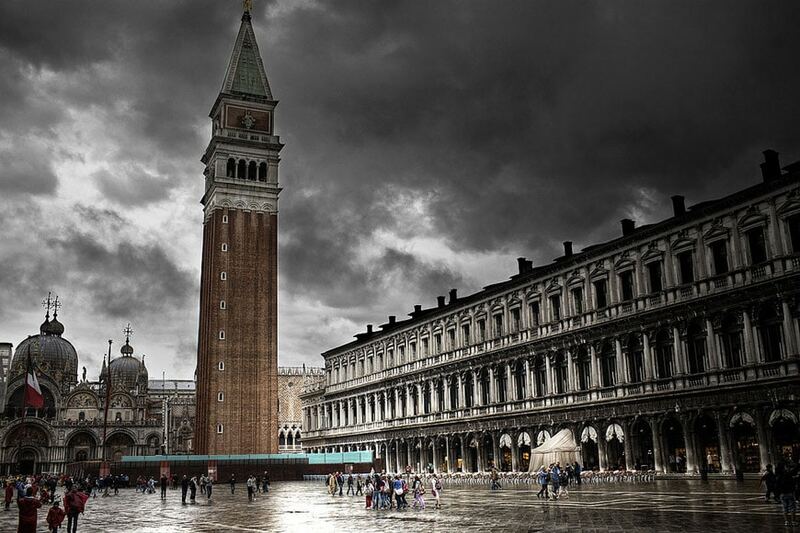 The museum can be visited with a combined ticket which also gives access to the Doge’s Palace and the Correr Museum, both nearby.